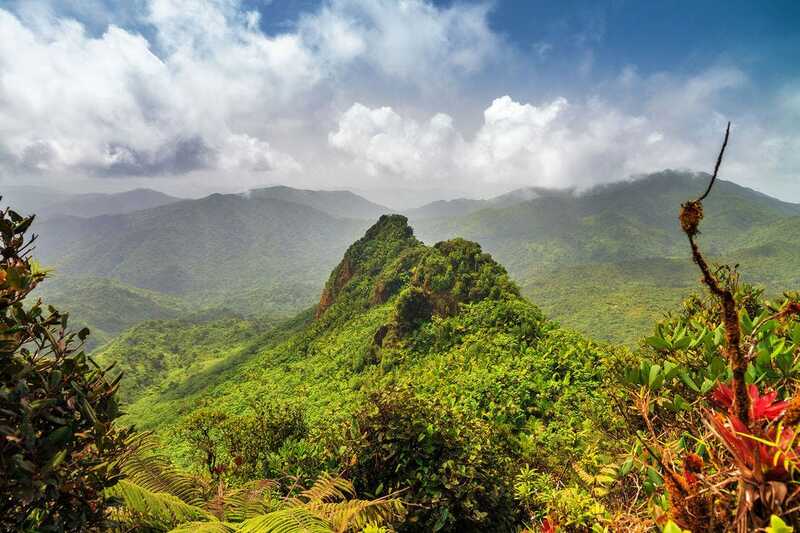 El Yunque National Forest named Best Caribbean Attraction! 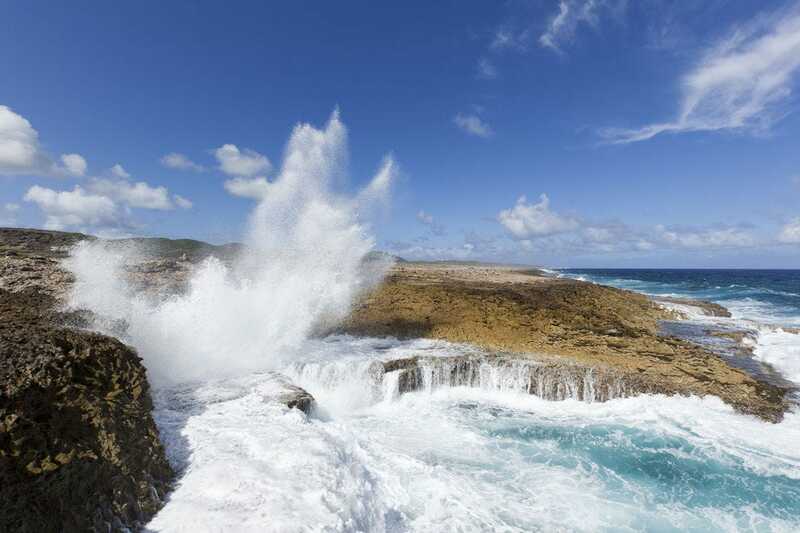 There's more to the Caribbean than just beautiful beaches (though we love those too). 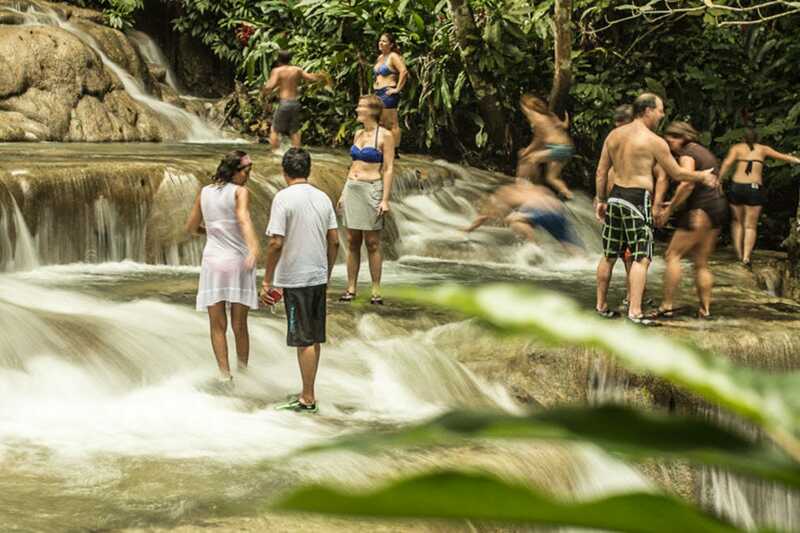 From waterfalls and caves to ziplines and historic plantations, Caribbean travelers have no shortage of things to see and do. 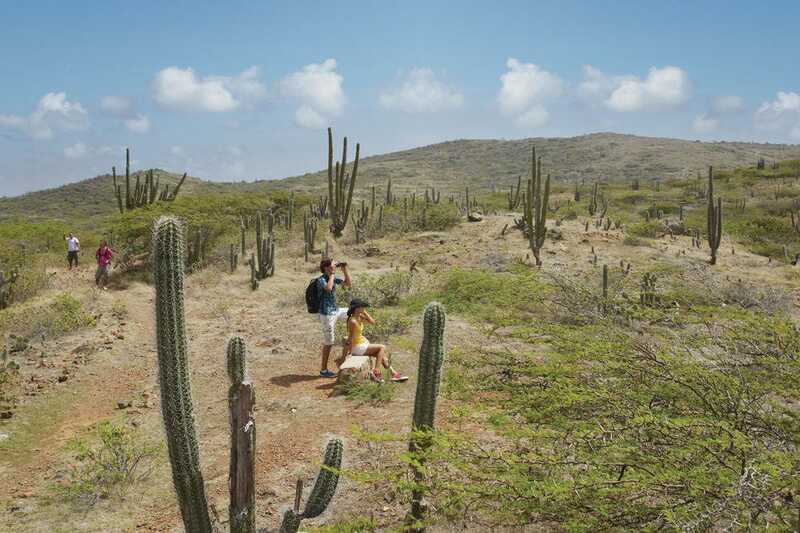 This fascinating slice of wildlife is an easy day trip from San Juan. More than 100 billion gallons of rain falls each year on the 28,000-acre forest, and ore than 240 species of trees, 50 species of ferns and 20 varieties of wild orchids are represented here. 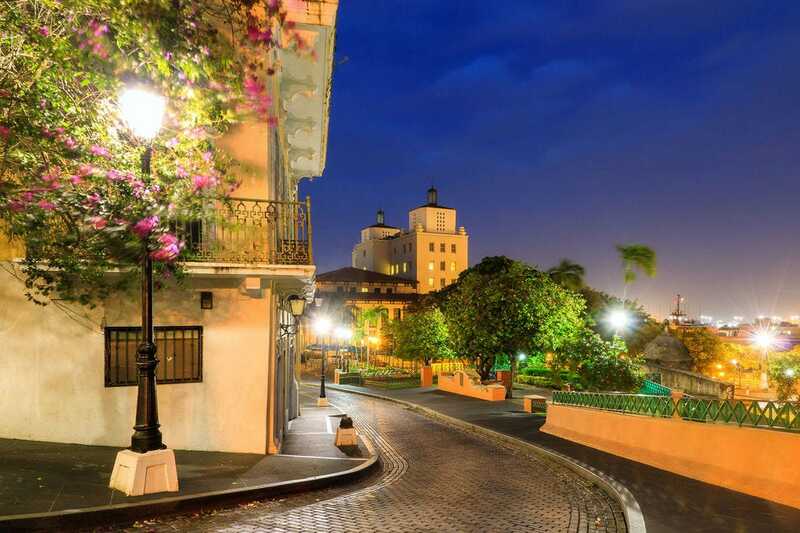 The cobbled streets and colorful colonial architecture of Old San Juan have been declared a UNESCO World Heritage site. A highlight of the old city is La Fortaleza, an imposing series of defensive structures built between the 16th and 20th centuries to protect the city. Covering the wave-exposed northern coast of Curacao, Shete Boka National Park is famous for its rugged terrain, wave-cut caverns and numerous beaches where sea turtles come to lay their eggs. 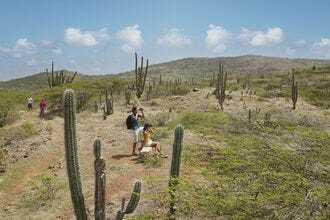 Covering 20 percent of the island of Aruba, Arikok National Park features cacti-covered hills and a dramatic coastline. Visitors to the park can climb into ruins of an old gold mine, search for Arawak petroglyphs or go snorkeling in a natural pool. 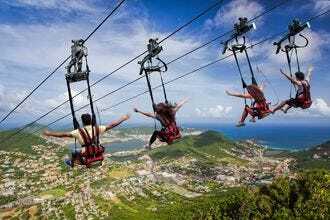 Travelers can easily spend a day at Mystic Mountain on the zip line or scenic tramway floating 700 feet above the rainforest canopy. Stroll through the hummingbird and butterfly gardens and take a ride down a water slide or dip in the swimming pool. 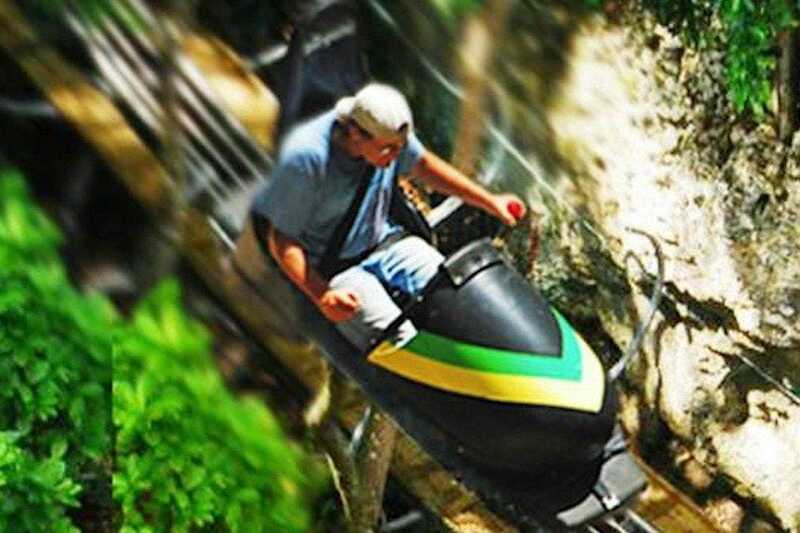 The bobsled ride is the park's signature attraction. Dunn's River Fall's 600-foot long waterfall (180 feet high) with several tiers and wading pools presents a striking centerpiece for the mountain-like setting. Visitors can hike to the top of the falls with an experienced guide for a modest price, or they can just opt for a picnic at its base and allow the cool mist to give them welcome relief from the heat. 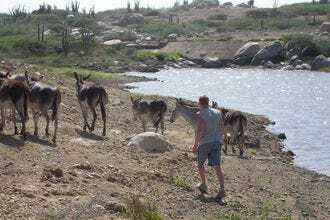 When cars replaced donkeys as the main mode of transportation on the island of Aruba, the animals were abandoned to wander, often susceptible to abuse. Founded in 1997, Donkey Sanctuary Aruba provides a protected environment for 130 donkeys. 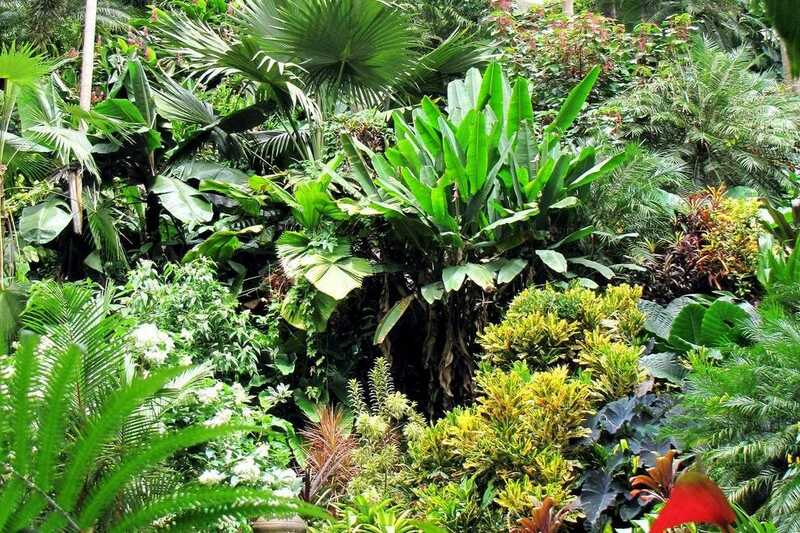 Situated in the heart of the Barbados rainforest, Hunte's Gardens are the work of famous local horticulturalist Anthony Hunte. 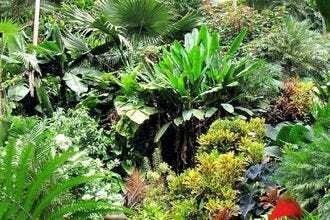 Aside from the numerous tropical plants, monkeys, lizards and other critters often visit the garden. Recently opened in fall of 2017, Rainforest Adventures in Sint Maarten is home to the world's steepest zipline, where riders reach speeds of 56 miles per hour while descending 1,050 feet along the 2,800-foot line. Other attractions in the park include an aerial tramway, chairlift and bobsled. 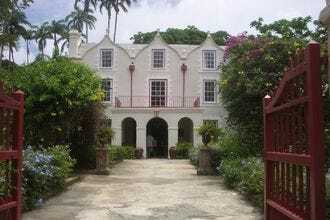 This stone and wood great house, dating back to the seventeenth century, is one of the last remaining Jacobean-style houses in the Western Hemisphere. The first floor is still furnished with period pieces, and visitors can watch cane grinding in an old rum distillery out back. A panel of experts partnered with 10Best editors to picked the initial 20 nominees, and the top 10 winners were determined by popular vote. Experts Sarah Greaves-Gabbadon (JetSetSarah.com), Melanie Reffes and Chelle Koster Walton (10Best) were chosen based on their knowledge and experience of Caribbean travel. Congratulations to all these winning attractions! A note on Irma and Maria: The 2017 hurricane season greatly impacted the Caribbean, with hurricanes Irma and Maria leaving destruction in their wakes. Where some islands were able to bounce back quickly, recovery continues on others. Each of our nominees in this contest is either currently open to visitors or has an expected opening date in 2018. Sarah Greaves-Gabbadon is a Caribbean travel expert, award-winning travel journalist, TV host and self-described “Carivangelist,” who ventures to the beach and beyond to share the diverse culture, lifestyle and people of the world’s favorite warm-weather destination with brands such as Travel + Leisure, Brides, Martha Stewart Weddings, The Telegraph, Islands.com and Cruise Critic. 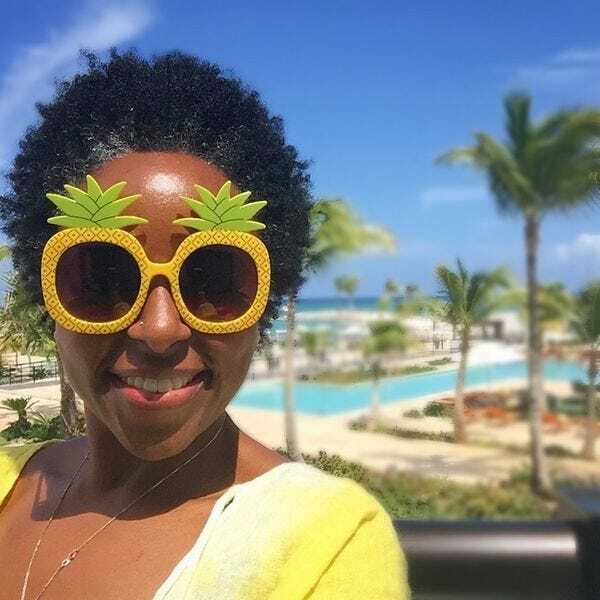 Based in Miami, the former travel editor of Caribbean Journal and executive editor of Caribbean Travel + Life magazine is also jetsetter-in-chief at JetSetSarah.com, where her two passions – the Caribbean and shopping – meet. Her not-so-hidden talent is the ability to sniff out a “shopportunity,” no matter where in the world she may be. Follow her adventures on Twitter, Instagram and Facebook. Chelle Koster Walton – the Local Expert for Naples, Florida and the Caribbean – has been covering the destination for 30 years. 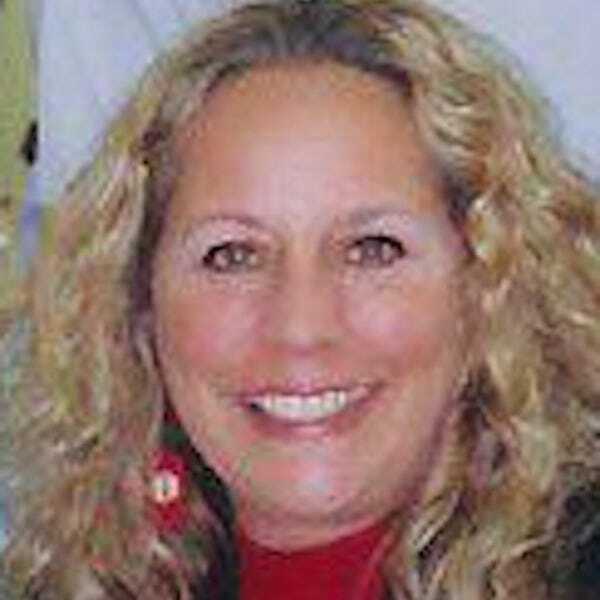 Her top-selling Sarasota, Sanibel Island, and Naples guidebook (Countryman Press) is in its sixth edition. She was contributing editor for Caribbean Travel & Life for 12 years and has written guidebooks on the Bahamas. A veteran travel writer, Chelle has published thousands of articles for Miami Herald, USA TODAY, Latitudes; has written/contributed to a dozen guidebooks, and produces travel shows for the local PBS station.